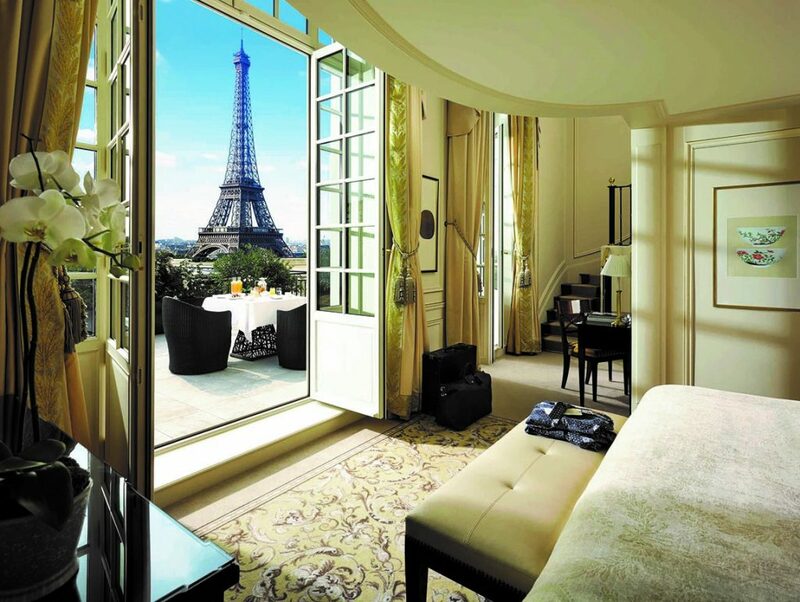 If you are travelling to Paris, as with any major city, there are a plethora of accommodation options. For that something special, a stay within the Shangri-La’s palatial surrounds is a must for a special occasion. Before we opened La Villa, we had a wonderful holiday on the island of Penang (Malaysia), staying at Shangri-La’s Rasa Sayang Resort & Spa (in March this year we visited for the 10th time, so you can tell how much we enjoyed that first stay!). We were very excited when we opened the doors of La Villa, in 2009, that plans were announced to open Europe’s first Shangri-La property in the heart of Paris, our adopted capital. When not in the kitchen at La Villa, a passion of mine is writing articles for magazines (and of course our monthly E-Newsletter) which combine our experience of living, travelling & dining in France. It was therefore a great opportunity to plan a special weekend in Paris by TGV to stay at the Shangri-La and see how the wonderful hospitality from Asia had crossed continents and found a new home in the city of light. Situated close to the Tracadero, with commanding views across the Seine to the aforementioned Eiffel Tower….and unlike Prince Rolland, you can now marvel at this most ironic of structures from many of the beautiful rooms & suites. Our stay was nothing short of perfect (as was expected) and the resulting article has just been published in a wonderful Australian publication “Provincial Living“.